SEO, Social Media and web design are the three major factors that have capacity to reach with a high number of visitors and make a website most popular. It depends on your own needs as you can spend more money on these three major factors to increase number of visitors yet it is essential that you should keep notice on each thing while creating website. Here is some difference given among these factors. Web design plays a very important role to run your website effectively. If you are running ecommerce website reinforcements many products then a good and smart web design for products is essential thereby more visitors can access the products and purchase them regularly. If you are concentrating on only good graphical design then it would be so effective to show the products. If you using flat design that have simple design and color pallets then it can bring more and more customers. Flat design can help you to design navigation menu’s size and shape simple. If you want that your website’s reach to more visitors then of course you would access search engine optimization technique. Search engine optimization is the best factor to reach your website to many visitors without promoting it and it will reach all places that make it popular on famous search engines like Google and Yahoo. Google and Yahoo provide you many optimized search keywords that are searched on the internet. One single mouth word can turn a person towards the royal life. 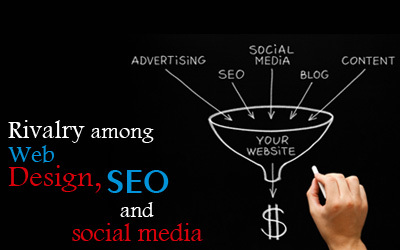 At present time social Media is the best place to promote your web site. Now a day every single person is so close to social media and day to day access it so it is the best place if you promote your website here and it will be watched by more and more visitors and will get popular.